We’ve been slow at work. Normally when bored at work, I peruse the internet looking for inspiration. 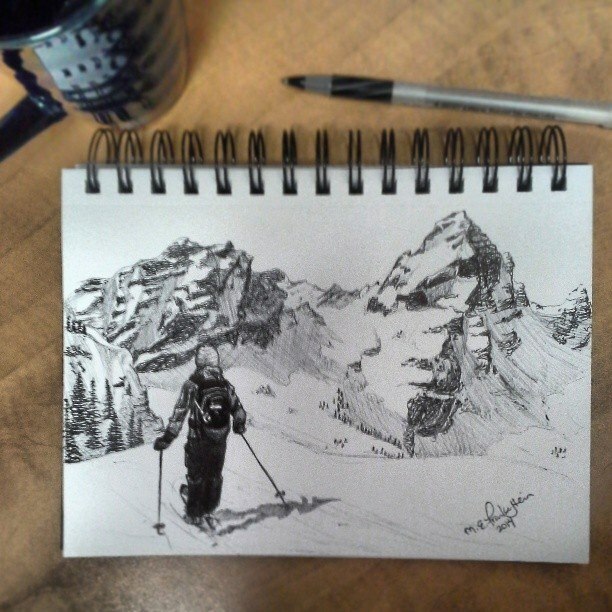 Last week I decided that a better idea would be to exercise my skills and sketch. So I grabbed some scratch printer paper, a bic pen, and a couple pictures I plan on painting eventually. 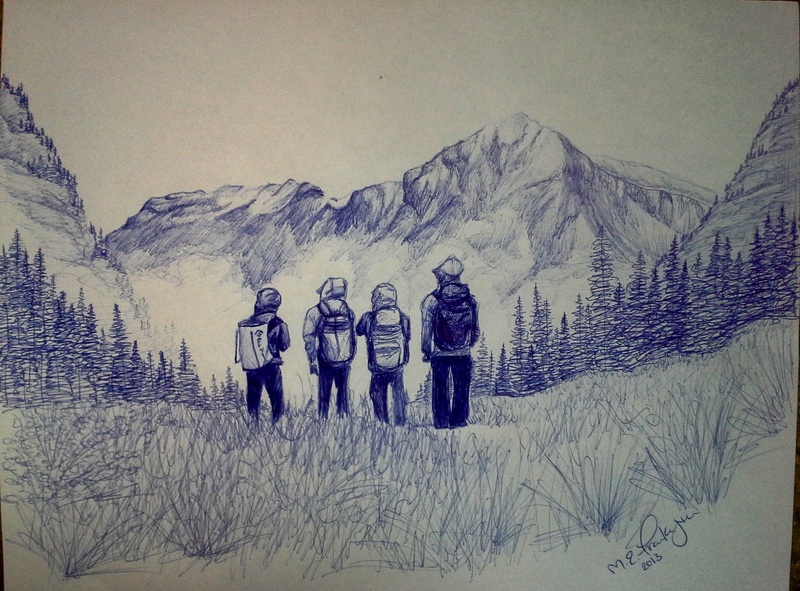 “Colorado Daydream” 2013. ballpoint pen on paper. 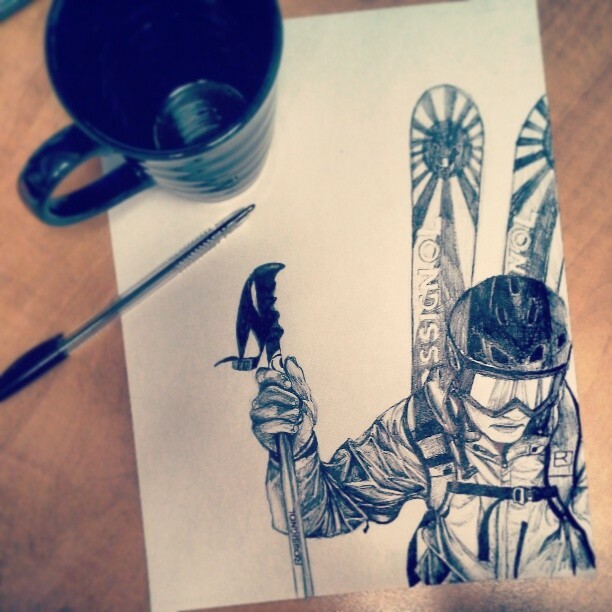 “Skinning” 2013. 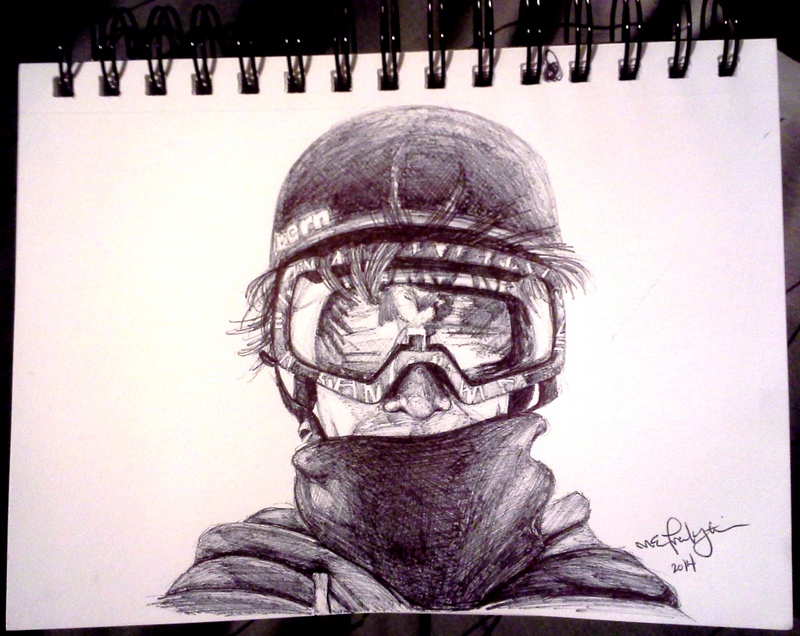 Ballpoint Pen on paper. Stay tuned for more sketches and eventually paintings based on these pictures. 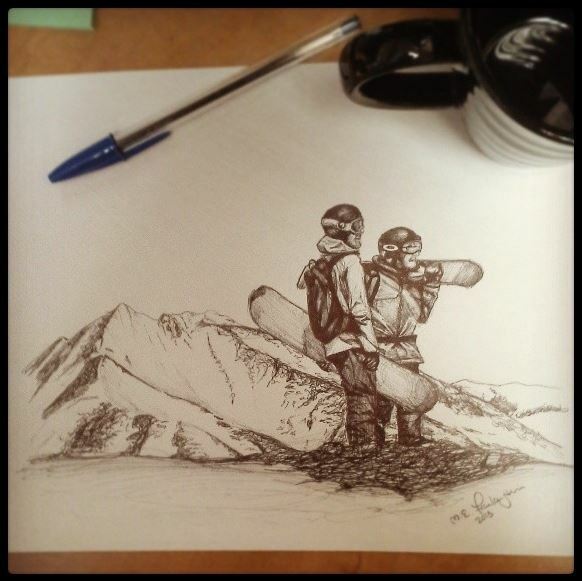 This entry was posted in Across the Divide and tagged ballpoint pen, bic pen, climbers, Colorado, doodle, drawing, hikers, Mountain, ridge line, sketch, snowboarders. Bookmark the permalink.